DaVaughn Patterson finishes cutting a stretch of grass on 44th Street, just south of Garfield Avenue in Washington Park. Patterson, still in tattered shoes and a hoodie, lets one of the neighborhood children help before putting the mower away. 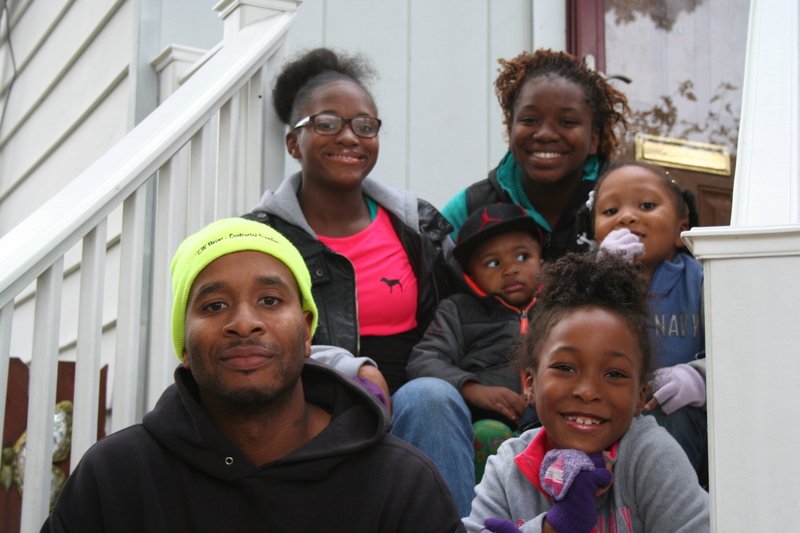 DaVaughn grew up in a single-parent household, an only child until the age of 10, near 18th and Center on Milwaukee’s north side. He says he “never had any issues” growing up, and that area has changed since he was a child. “Houses have been torn down and new houses have went up,” he says. DaVaughn has held down a job since he was 15. By the time he was 17, he had three. Now, he owns his own small business, and has been working in construction for 16 years. The first memory DaVaughn has of his father wasn’t until he was 12 — before that, he doesn’t remember him being there. But he had his mom, and he didn’t know any different, he says. Now, DaVaughn is a father. He was in school at UW-Parkside when his first daughter was born. It was hard doing school full-time, working full-time at UPS and trying to get back to Milwaukee to see her, so he ended up dropping out. “We go well together,” he adds. Patterson walks around the corner to his home where his daughters, son and some of their cousins are playing on an early fall evening. He owns a couple properties in the area, too, he says. DaVaughn is thinking about buying a third. He’s looking forward to the future of the neighborhood — it’s at an “interesting point,” he says.